Kendriya Vidyalaya Pattom Library got nominated for the LibTech 2019 Award Program for the effective integration of Technology in libraries. The Award Program was instituted as part of the Library Technology Conclave (LTC 2019) organized jointly by Informatics India Ltd., and Cochin University of Science And Technology which was held at CUSAT during 23-25 January 2019. 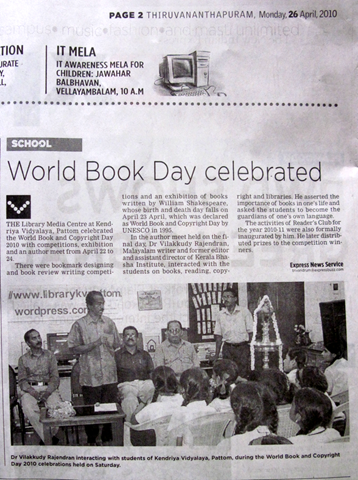 KV Pattom Library was one among the top 8 libraries nominated for the award. Mr. Marshall Breeding, Former Director, Innovative Technologies and Research, Vanderbilt University Libraries, Nashville, TN, USA was the Chair of the Selection Committee. It’s not every day that you come across someone like S L Faizal, a librarian who thrives on reading innovations in the school library. From launching the first library blog in India, to promoting information literacy through fun campaigns such as Face-a-book, this librarian’s initiatives deserve to be in the spotlight. Find out more about his experiments with promoting reading in Kendriya Vidyalaya Pattom, Trivandrum. The tagline of the Kendriya Vidyalaya Pattom library where S L Faizal works is: Where minds meet and ideas pop up. Clearly, Faizal doesn’t take this tagline lightly. 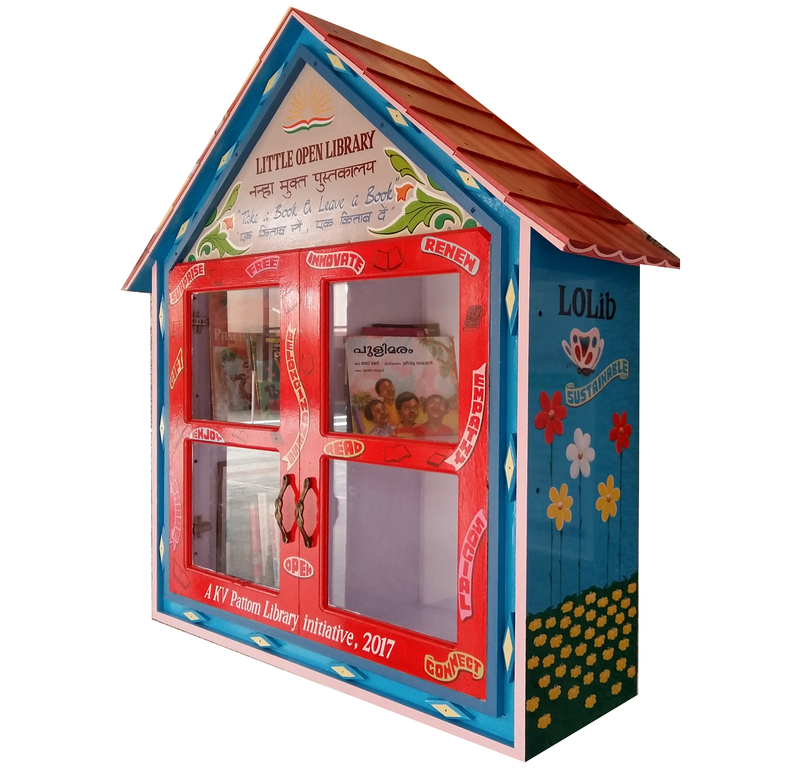 Enthusiastic about discovering new possibilities to help the library evolve, Faizal’s always looking for effective ways to motivate children to read more. Although Faizal has plenty of pet projects, we have decided to highlight three of his most promising library initiatives. The concept was developed from the realization that almost all students between the ages of 11 and 17 are connected on social networks like Facebook, and spend less time reading physical books. So they were told this: If you are bored with Facebook, come to your Library and face a book, a real one. Face-a-book – an encounter with a real book – was started in 2012 as a collaborative project between the library staff and students. Thus emerged www.faceabook.info where children could post their thoughts after reading books borrowed from the library. Born out of this initiative was another reading program called Book Ambassadors. As a part of this, 50 students were selected to closely read a book each. 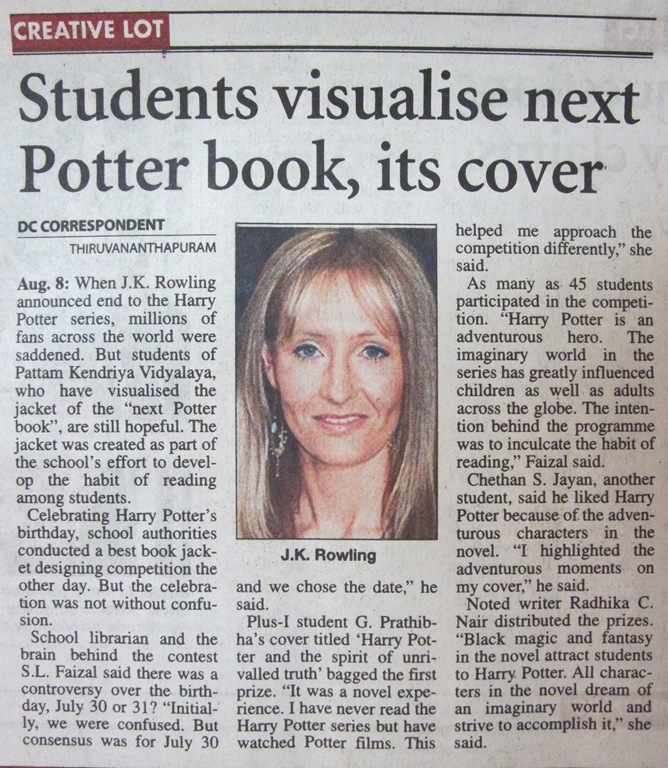 Each of them then became the ambassador for the book that they had read (e.g., Ambassador of Harry Potter). These ambassadors were expected to face all queries specific to the book that they were representing. They were also honoured with badges and certificates. 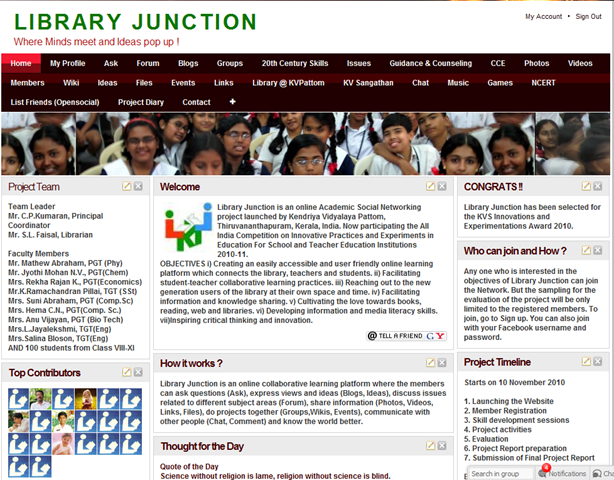 Library Junction (www.libraryjunction.net) was launched in 2010 as an online Academic Social Network with all the features of a popular social network. The targeted users were the net-generation students. Designed as an online collaborative learning platform, members could ask questions, express views, hold discussions, share information, work on projects together, communicate with others and get to know the world better. The project team consisted of more than 1000 students (between the ages of 6 and 17) and 10 teachers from different subject backgrounds. 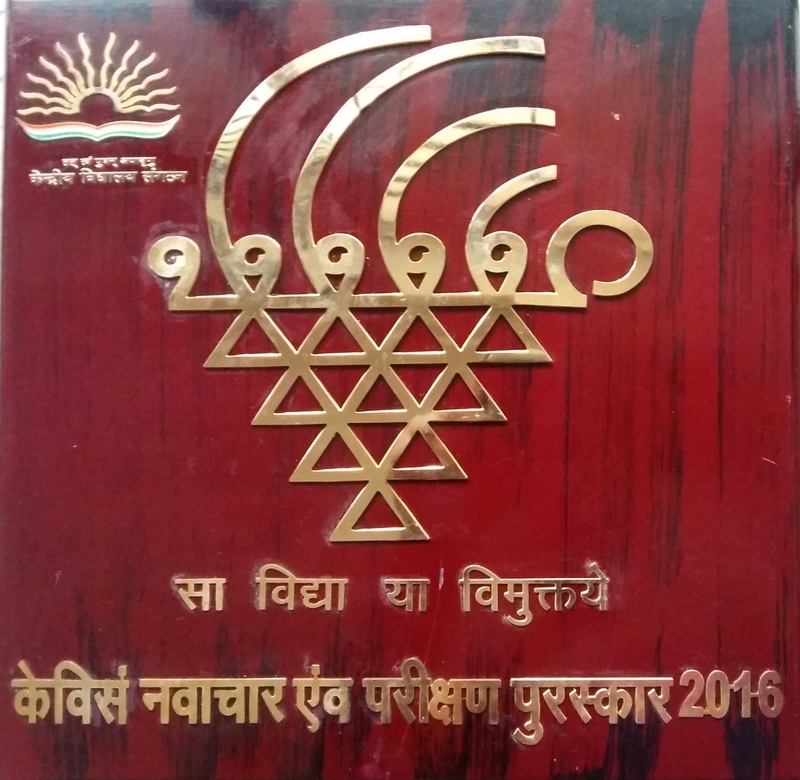 The project won NCERT’s Best Innovative Project for Schools Award in 2011 and KVS Innovations and Experiments Award in 2010. LSC is a social responsibility initiative by Kendriya Vidyalaya Pattom to connect students to society through books and reading. The project was kick-started in 2013 through a campaign called ‘Gift a Book and Get a Friend’.This was aimed at providing students with better opportunities to find out more about their community – other learning systems in particular – and to make friends through books. Students of the school’s Readers’ Club collected more than 550 books and gifted it to children from underprivileged backgrounds studying in Govt.U.P.S.,Palkulangara. In the spirit of friendship, students from both schools presented cultural programs together, participated in fun activities, told stories, and shared their food. The support and response from students was overwhelming. Visit http://librarysocialconnect.wordpress.com for more details. Social media are often blamed for youngsters’ aversion to books. However, more and more academic libraries in the district are using the very same tools to make books appealing to students. 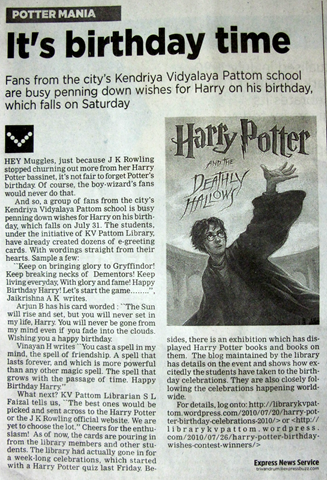 When Kendriya Vidyalaya (KV), Pattom, launched a blog for its library in 2005, a student posted a book review on it. After reading the post, her friends decided to read the book. Comments, ‘likes,’ and ‘dislikes’ started to pour in. Very soon, even those who refused to spend time in the library were borrowing books so as not to be left out of discussions on the online forum. “The e-magazine and an online platform called ‘face-a-book’ for publishing students’ articles and handling their academic work were a hit. There were active online discussions on books. 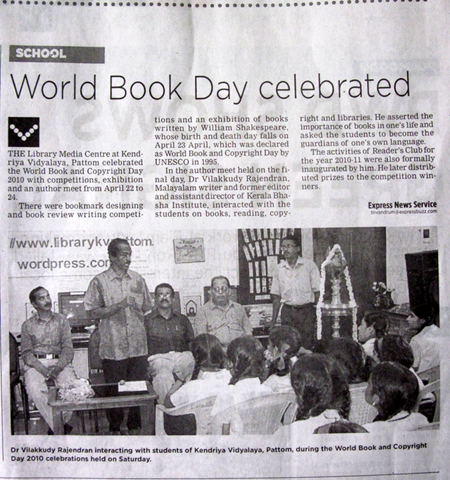 Students posted book reviews and organised chat sessions with the librarians,” said S.L. 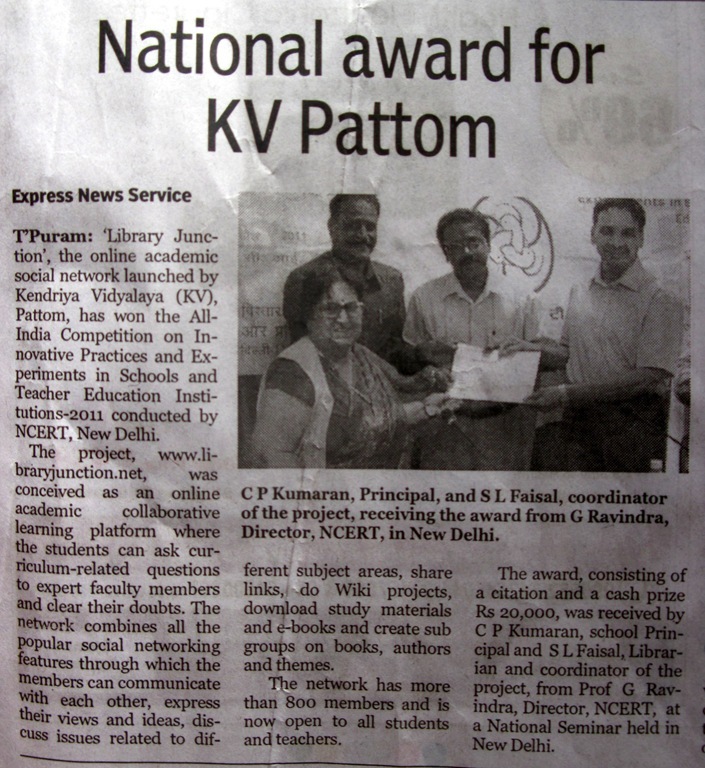 Faisal, librarian, KV, Pattom. Today, Kendriya Vidyalayas extensively make use of social networking platforms to support academic activities. The story is no different at the Centre for Excellence in Bioinformatics, University of Kerala. The students there are as much hooked to bookface, the centre’s library management application, as they are to Facebook. The former uses the features of the popular social networking site. The students tag, comment and ‘like’ the books of their friends, and keep track of the latest releases. Achuthsankar S. Nair, Director of the centre, said it was imperative for the library to adapt to the changes. To attract the youth, libraries would have to use new media tools, he said. But many libraries and information professionals were yet to wake up to the power of social networks, said V.R. Arun, a project fellow at Kerala State Council for Science, Technology and Environment (KSCSTE). In his research paper, ‘A study on the use of library resources and services through social media sites in the University of Kerala,’ he pointed out the lack of initiatives among academic institutions to approach the social media as tools for information sharing. “Hardly anyone visits the Kerala University Library’s official website. The library has a Facebook page, but it needs to be constantly updated for people to take notice,” he added. An online academic social networking project launched by Kendriya Vidyalaya Pattom has won the Kendriya Vidyalaya Sangathan’s National Innovations and Experimentation Award 2010. Named ‘Library Junction: Where Minds meet and Ideas pop up!’, the project was launched earlier this year with the aim of creating an easily accessible and user friendly online teaching and learning platform connecting the library, students and teachers. Library Junction (libraryjunction.net) utilises the popular social networking concept as a platform to reach out to the new generation library users and kindles their love towards books and reading. It facilitates collaborative learning, knowledge sharing and critical thinking. Developing information and media literacy skills among students and helping them to find, evaluate and use accurate and trustworthy information on the internet is also an objective of the project. According to school librarian S.L.Faisal, project coordinator, there are more than 750 members on this moderated online social network including students, teachers and professionals from all over the world. The NCERT has also selected this project for implementation under the All India Competition on Innovative Practices and Experiments in Education For Schools and Teacher Education Institutions 2010-’11. 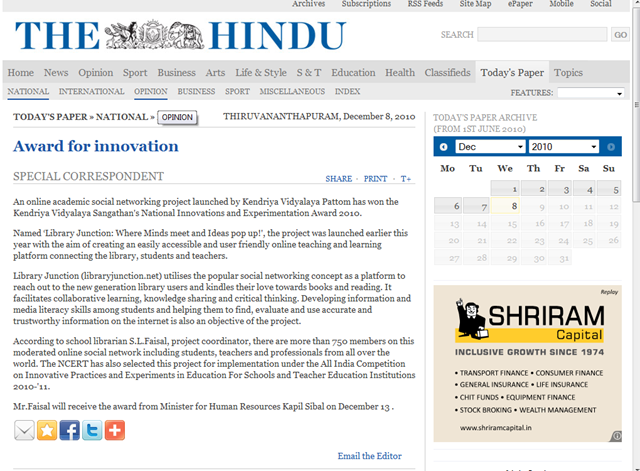 Mr.Faisal will receive the award from Minister for Human Resources Kapil Sibal on December 13 . An Online Academic Social Networking project “Library Junction: Where Minds meet and Ideas pop up !”, launched by Kendriya Vidyalaya Pattom has won Kendriya Vidyalaya Sangathan’s National Innovations and Experimentation Award 2010. The project satrted earlier this year with an objective to create an easily accessible and user friedly online teaching and learning platform which connects the library, students and teachers. Library Junction (www.libraryjunction.net) utlilizes the popular social networking concept as a platform to reach out to the new generation library users and kindles their love towards books and reading. It facilitates collaborative learning, knowledge sharing and critical thinking. Developing information and media literacy skills amomg students and help them to find, evalate and use accurate and trust worthy information on internet has been also a main aim of the project. Now there are more than 750 members on this moderated online social network including students, teachers and professionals from all over the world. NCERT has also selected this project for implementation under the All India Competition on Innovative Practices and Experiments in Education For Schools and Teacher Education Institutions 2010-’11. The project team has been expanded with expert teachers from different subject areas lead by the Principal, C.P.Kumaran and are ready to share their knowledge and clear student’s doubts on curriculum issues. The membership is open to all those who are interested in books, reading, libraries and the good use of internet. S.L.Faisal, Librarian of KV Pattom (shift-I) is behind the conept and the coordinator of the project. He will receive the award from the Human Resource Minister (Chairman of KVS), Kapil Sibal on 13 December at a ceremony in New Delhi.